👋 Hey there! I’m the new guy around here. I’m super excited to be joining the SkyVerge team, and to be wrapping up my first project — check it out! Good things come in… Return packages! Our latest release of Shipwire is all about convenience. We wanted to make your lives as merchants easier, so in 2.3.0 we have made it easier than ever to manage return shipments and handle canceled orders without ever having to leave the WooCommerce admin. Additionally, this update is fully tested and compatible with the upcoming WooCommerce 3.3, and conveniently adds the Shipwire order status information to the new order preview modal being introduced in 3.3! In previous versions of Shipwire, if an order was canceled from inside of WooCommerce, you would have had to log into your Shipwire account, find the order, and mark it as canceled there as well. 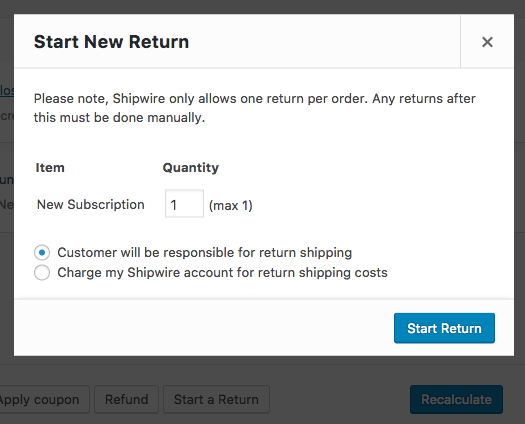 We have now improved that process by automatically canceling your order in Shipwire if it is canceled in the WooCommerce admin. Hurray! A quick note: this won’t automatically process a refund (given you may be returning an item for an exchange instead), so you’ll need to do a refund through your payment gateway separately. Ready to give it a go? 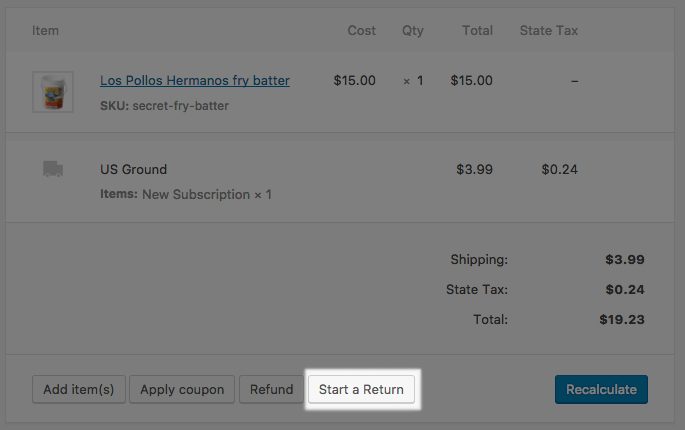 You can download the update from WooCommerce today and make accepting returns a little bit easier! As always, we are here to help if you run into any issues with the new features via the help desk.